What Does 3A Girls Look Like For Next Year? Several of these top 3A runners from this year are back next year, but Peak to Peak still figures to have the upper hand. Sure, we've pretty much all figured that Peak to Peak is the default favorite for at least one more year, but--beyond that--what can we discern now about what the shape of next year might be? On this page and the pages that follow, I lay out the results of two virtual meets done to help answer that question. 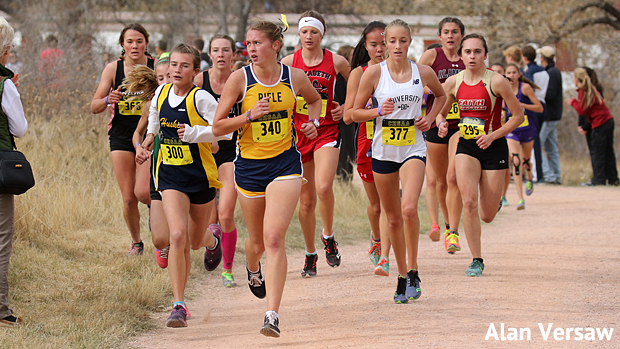 The first virtual meet takes in all returning runners that should be part of 3A Girls next fall. This page contains the individual results of that virtual meet; page 2 contains the team scoring. Pages 3 and 4 contain the individual results of a virtual meet of all returning 3A runners for next year and the team scoring for that virtual meet, respectively.